Order within 11 hours 38 minutes for Same Day Delivery! The 5 by 7inch music box is a great keepsake. Someone's picture can be put in frame and any other items can be stored in the box. The music boxes come in various styles, sayings, and music for all occasions. 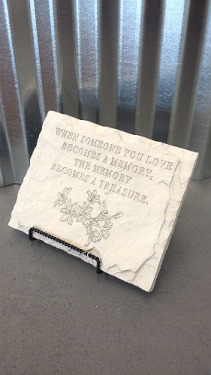 A beautiful 5 by 7 in wood box in a silver tone with a scroll picture edge surrounding a comforting message. 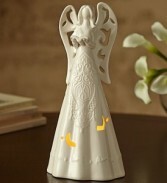 Can add fresh flowers in the music box at the $54.95 price. 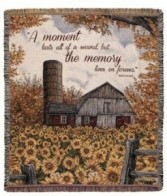 A great gift for a remembrance of a cherished friend or loved one. Can't attend the service just call and we will send it anywhere in the US at the $49.95 price. One of our awesome music boxes. Great as a keepsake. The picture can be removed and your loved one's picture put in it's place. Can be shipped at the $49.95 price. This is our country chic music box with locket and key. A wonderful place to put some treasured keepsakes. We can mail at the $49.95 price. Lovely Designs on our Light Boxes at 9 1/2 by 10 1/2 inches, that lights up when turned on. Larger than our music boxes. Keepsakes can be put on top. Can mail at the $69.95 price. 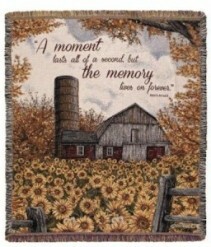 A beautiful throw with a comforting picture. It is very soft and the backing has a sheep skin feel. A perfect keepsake. At the visitation include a stand for the throw at the $66.95. A direct ship is possible at the 3rd price. Musically inspired by the great Amazing Grace song. A keepsake that everyone would treasure. Add an easel for the $66.95 price. Can be mailed at the $69.95 price. A colorful tribute for a loved one. Does not include an easel. An easel is $7.00 more. 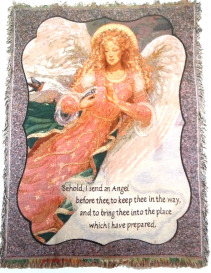 Angel throw with verse. A great gift to warm the soul on a lonely night. 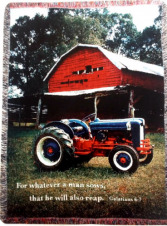 The throw is 59.95 add a stand for $7 or mail to your loved one for $69.95. Farmers tribute to their hard labor. A warming keepsake. It is a special order item we can get but don't always have on hand. Put on a stand at the $66.95 price, can mail at the $69.95 price. 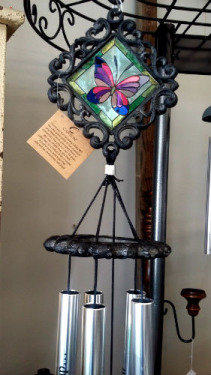 18 inch Lantern with a silk attached. Included with the lantern is the battery operated candle. A perfect sympathy gift to express your feelings and something that their loved ones can cherish. Can be shipped at the $74.95 price. 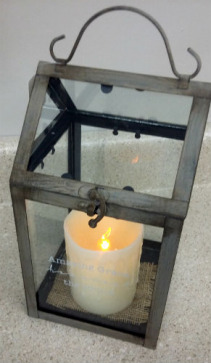 Peaceful 19 1/2 inch lantern embraces that warm and comforting tribute. The base lantern with a basic candle is $74.95, a candle with wording is at the $82.95 price, and we can mail at the $84.95(plain candle) or $92.95(candle as shown) price. 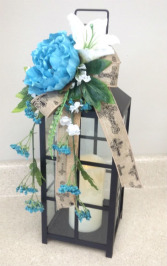 A great cheerful 16 inch lantern for many occasions. Price various on candle choice and can be mailed at the $69.95 plain candle as shown. Our 18 inch vintage lantern is the newest addition to our lantern collection. 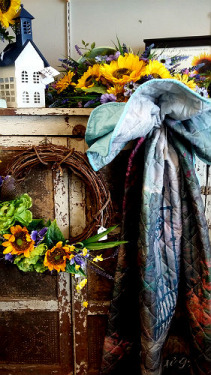 A great mix of old world charm and new colors. 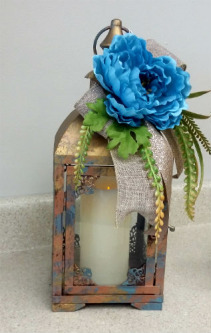 Pricing is based on the candle chosen and can be mailed. Our open top lantern to replicate the early American style lanterns. 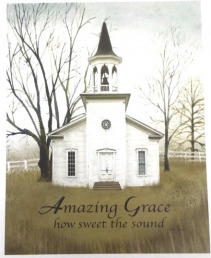 Wording on glass is the heart warming beginning of Amazing Grace. Can be mailed at the $49.95 price. One of our in store displays of several items we offer for sale. 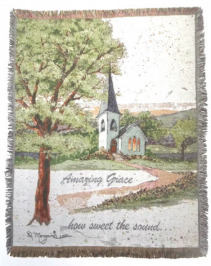 Starting with the lighted church, sunflower silk, and Thomas Kinkade throw. Call and see what other wonderful gifts we offer. 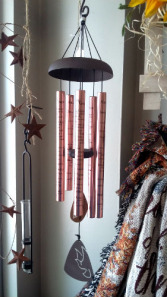 Our stained glass wind chime. 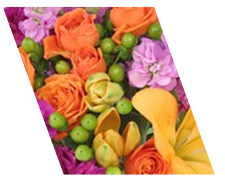 We have various styles available to express that special sentiment. Can be mailed at the $65.95 price. 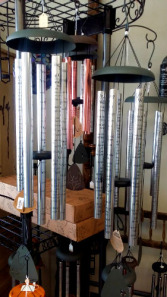 Our in store display of a Carson Wind Chime, a string of tin stars, and a throw. A unique gift. Can be mailed at the $55.95 price. 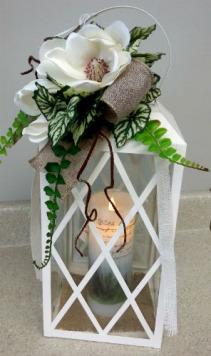 Add a bow to the lantern and its a great way to express your feelings in a simple way. Can be mailed at the $34.95 price. 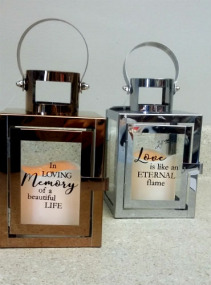 Our 9x7 1/2 inch etched glass and metal sympathy frames that express your sentiments. Add a bow and a card for a great keepsake. A loved ones 4x6 picture can be added later. Can be mailed at the $34.95 price. The glass floral 7x7 1/2 inch picture frames express a lovely sentiment and a heart warming message. 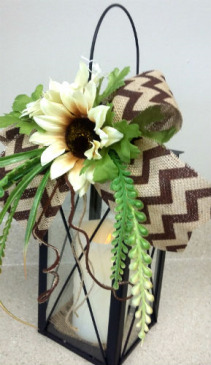 Add a bow and a card for a great lasting gift. A loved ones picture can be added later. Can be mailed at the $29.95 price. Oval Cement Stone with a saying, includes stand. We can add a bow and card for a great keepsake. 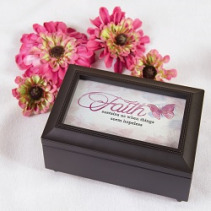 Rectangle sympathy stone with a comforting verse, includes stand. Add a bow and card to express your sentiments. Can be mailed at the $39.95 price.